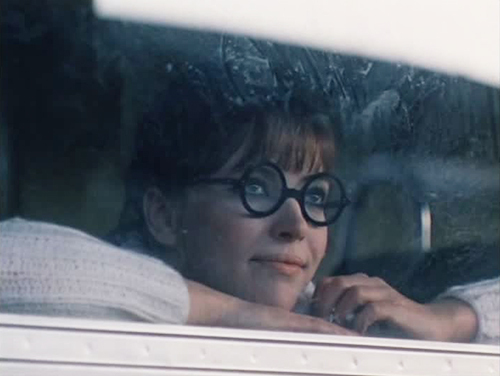 I want to say that story-wise it's pretty horrible, as most movies that pretend glasses make someone look like an entirely different person usually are, but it's mixed with so much irreverence that you can't help but love it. 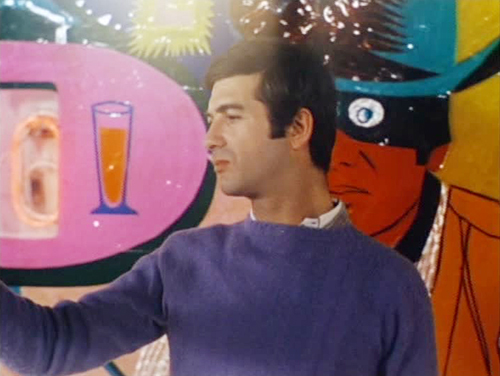 Jean-Claude Brialy takes a photograph in which Anna Karina is in the background, sans glasses. Technically he "falls in love with her" but it's really a kind of creepy obsession that he takes to astronomical levels. 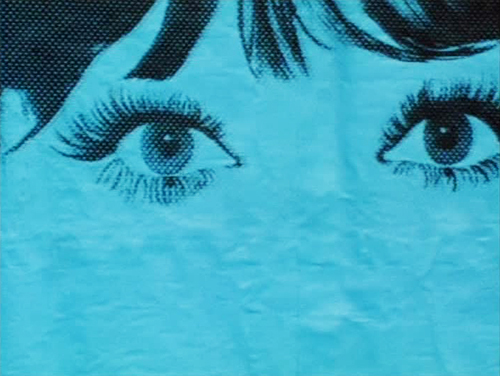 He has her photo blown up into posters that are plastered all over Paris. He has a team of photographers out combing the streets trying to find her likeness. Meanwhile, he actually KNOWS HER but she wears glasses all the time, so he doesn't realize she's the girl in the picture. 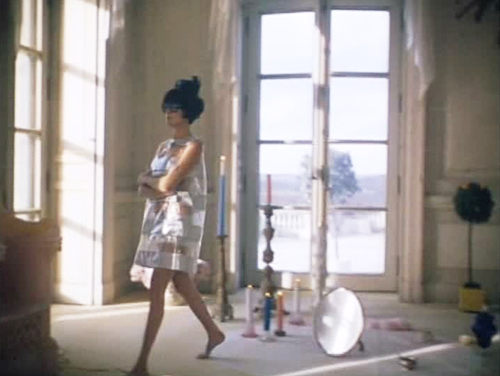 The real highlight of the movie is the visuals and, if you're a fan of Serge Gainsbourg, the music. I'm not really an admirer of his original songs (too much talk-signing?) but his version of Smoke Gets in Your Eyes is my all-time favorite. 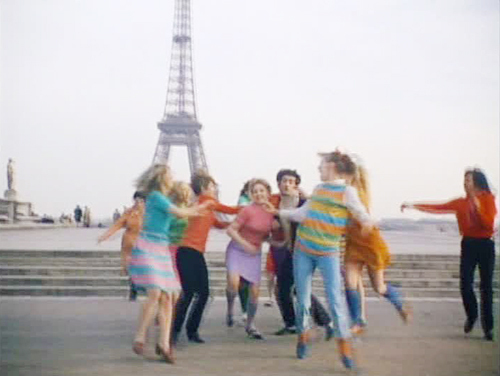 And the song that Marianne Faithfull sings (LOVE HER) in the film is pretty fantastic. 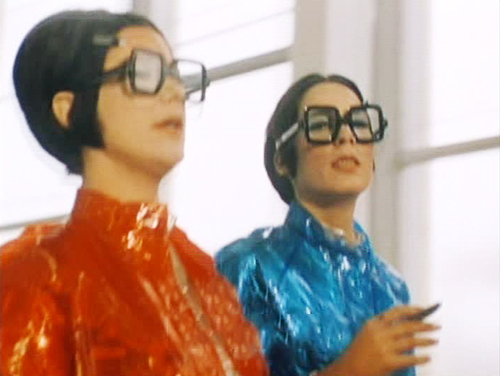 At one point the aunts (?) wear jumpsuits that are covered in zippers. One removes the sleeves of her suit while the other removes the midriff before they proceed to get manicures and pedicures. 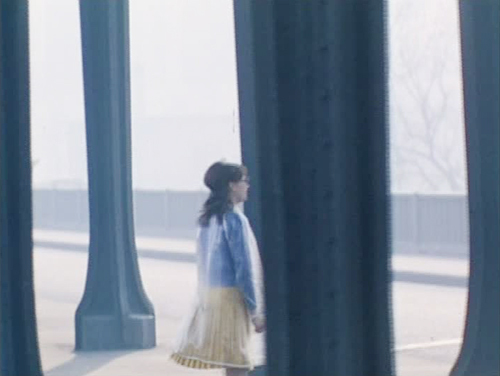 There's also an interesting dream sequence that made very little sense to me, but it looked so amazing I'd happily watch it over and over again. 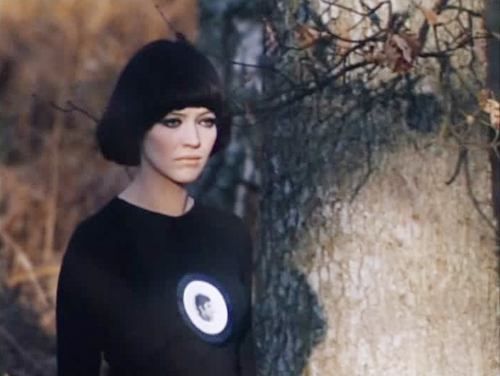 A sad Anna Karina dons all-black with a photo of Jean-Claude Brialy on her shirt. 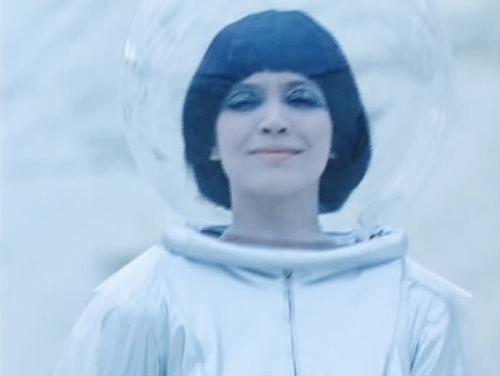 An astronaut Anna Karina counts to 8 in English while jumping around in a spacesuit. I dare you to peel your eyes away from this madness!! 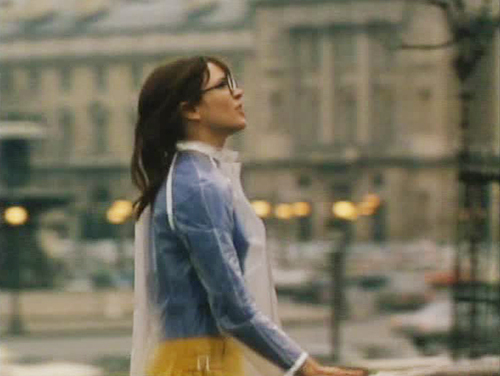 After I finished watching this I urgently pulled out my phone and started looking for a clear raincoat and round glasses online. 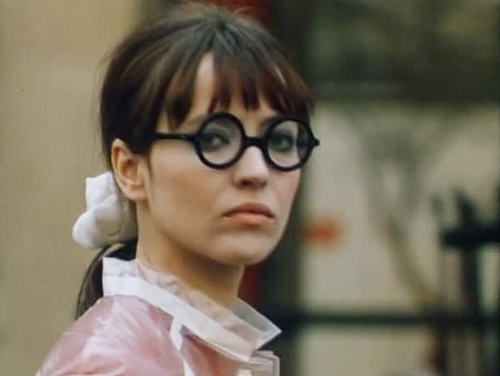 I may not have brown hair (or bangs, at the moment, although this movie is definitely pulling me back in their direction) but Anna Karina will always and forever be my style idol. 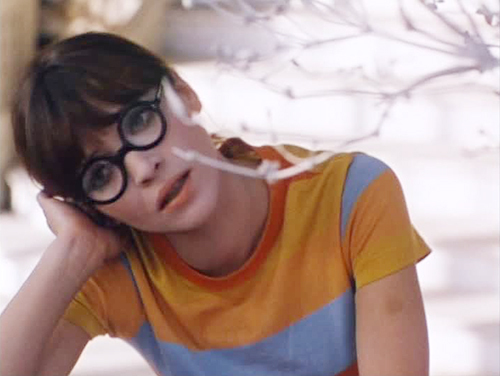 I think I'm actually incapable of watching a movie that she's in without wanting - nay, NEEDING - to replicate her look. I haven't seen The Nun yet, but I'm pretty sure I'll be on etsy frantically searching for vintage habits after I finally watch it. 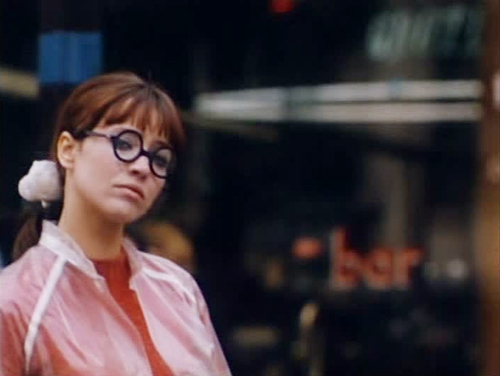 @Barbara Feliciani The movie is called "Anna" from 1967.